By. Mario G. Racadio Jr.
Where Neyo meets Stevie Wonder. ‘Give it’, ‘Jack it out’, ‘Let it Go’ and ‘Keep your Head Up’ all available in iTunes w/ extended, radio, and club remix. Amoray debuted #2 on Billboard Hot Dance Club Play Charts as Breakout Artist. Recently released another Billboard chart-topping hits ‘Don’t Say it ‘ is available on iTunes to download. Apart from his hits, Amoray also embarking in another milestones of his career, which is chosen to be included in Promo Only Video with Global exposure. 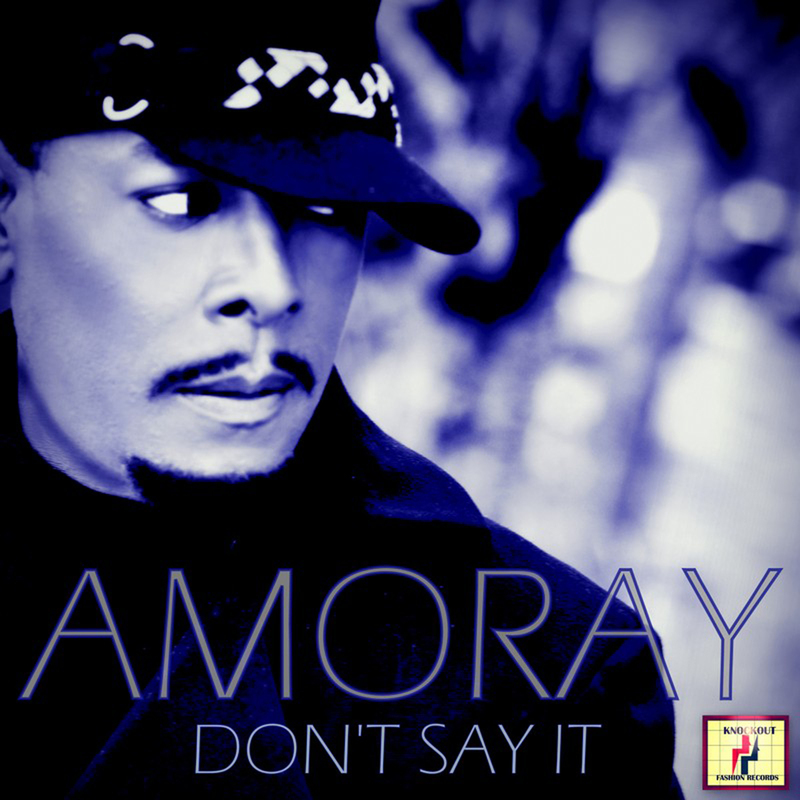 Before even hitting Billboard Charts, Amoray had written all his music and did all the vocals as well. Most recordings released by his own independent label Knockout Fashion Records and legendary Producer Manny Lehman. Recently featured in Abercrombie & Fitch compilations, UK Charts, and King of Spin Charts. He has also worked with top EDM (Electronic Dance Music) producers such as Klubjumpers, Mike Rizzo, Mr Mig team Funk Generation, and H3d Rush. Also featuring remixes by Edson Pride, Paul Goodyear, Funk3d, Timmy Loop, Bill Williams, Disco Delic, and so on. Let’s find out more with Up close & personal interview with Amoray. What motivated you to become a recording artist? I have been in the performing art’s for 20 years in Dancing, Acting and Singing. I have been recording demo’s for years and have sung with various groups also doing musical theatre it’s always been in the cards for me to become a Recording Artist and it was all about timing. Another thing is the right songs that fit the trends of the music business. Once I got the right songs and producer I’m ready to work. I’m inspired by my first teacher to music by my mother and father they were lover’s of all types of music from Gospel , blues, great soul R&B singers and Reggae music was played almost everyday in our house. These things also inspired me to respect the quality of great voices like Aretha Franklin, Al Green, Stevie Wonder, Sylvester, Bob Marley and so on. I love some of the new talents in music industry like Neyo, Usher, Beyoncé and strangely Nikki Minaj. I’m also inspired by everyday experiences and new things people adventures that’s inspires for my melodies. I write my songs for current times and situations. I just keep my ears and eyes open and the inspiration just pours in. What do you do to unwind? Hobbies ? I like to spend time with a few close friends, we almost never talk about the music business. It’s more of my listening to them and what’s going on in their lives. It really relaxes me to just chill, eat amazing food like salads are my favorites. Road trips are great to just filling the car with gas and let the wind take you. Spa’s are awesome and I’m love massage therapy. I’m also into some sports like Tennis and Swimming these are things I have been into since high School. But most of all, if I’m very sleep deprived I need catching up with at least 8 hour sleep. What advice can you give to start-up artist? The best advice I can give anyone that want to be a professional artist is to get a great vocal coach and study hard to learn about what your voice can do. Also make wise choices, you don’t have to be involved in everything just the right things that will help you propel to your goal. Also surround yourself with people who believe in what your doing. That will empower and motivates you. There is nothing worse than having haters around you it will only bring you down. One more thing if you are a independent artist be ready to invest in yourself. Take care of your business like copyrights and publishing it only cost a few dollars to secure your music. If given a chance to work with any artist/producers who would that be? David Guetta, Motto Blanco, Jennifer Hudson, Neyo, Tony Moran, Manny Lehman wish came true on the new EP “Don’t Say It” there are so many more.